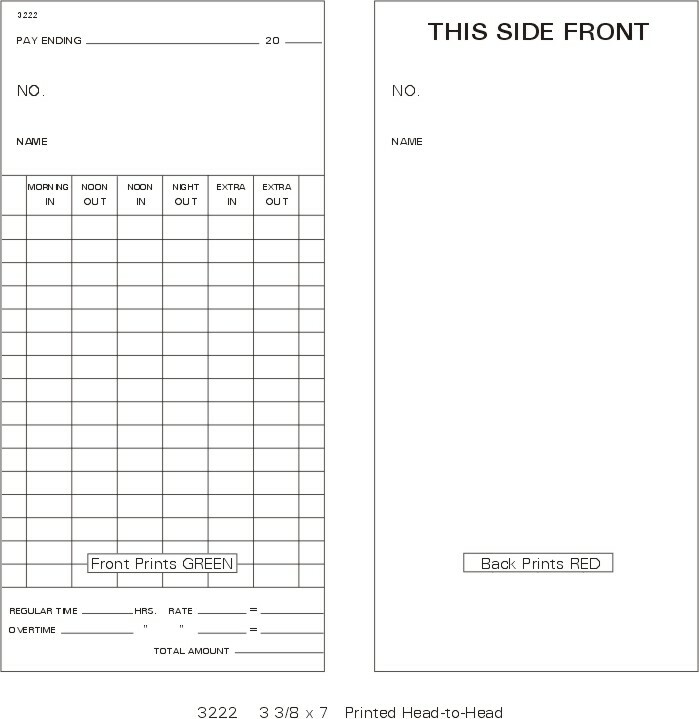 Time Cards Beginning with "3"
For card color other than normal manila, $15.00 per 1000 will be added to the price. State color desired in comment box. I WILL NOTIFY YOU OF THE CORRECT SHIPPING CHARGES. No returns accepted on time cards. Click on card # to see a black & white facsimile of the card. Visit our clock enclosures page for more boxes.